Jon Acuff (author of the book Quitter) tweeted this photo last week and I died. 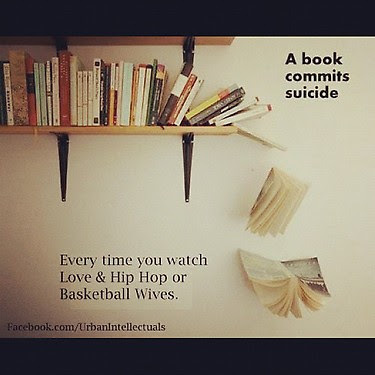 For a bibliophile like me who doesn't watch t.v. (and abhors reality shows) this image tickled me silly. I devour books the way a chain smoker consumes ciggies. There is never enough time to read the books I've checked out and borrowed at the library. This weekend take a break from the weekend to-do list, pick up a book, sit back, and feed your brain. It will thank you.